Here at Futon Company design is our passion and we love speaking to designers from all across the spectrum. 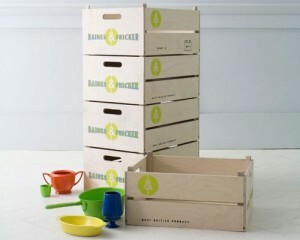 Today we talk to new Design Masters Baines&Fricker. 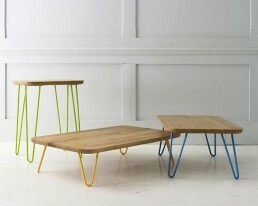 Baines&Fricker are a husband and wife team who launched their design company at 100% Design in 2011. Their Harris Tweed rocker was a Blueprint finalist for Best New Product. 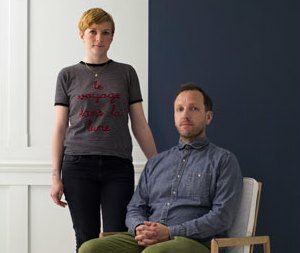 Steve Baines has been a furniture maker for a number of years and Eliza Fricker has worked as an illustrator and screenprinter. Their collaborating has come from a passion for long-lasting design, having gradually – over the years – made and acquired pieces for their own home. They believe that things for the home should be worth keeping and use this ethos to create their pieces. They design and make their products from their workshop in Brighton and use British materials wherever possible. They always try to use English woods and are inspired by combining different materials. Influences range from Utility furniture to craft, industrial architecture to street signs. They think that the mundane and everyday are worth looking at and have used these to influence their designs such as the Fruit Crate and Cement Works wallpaper. 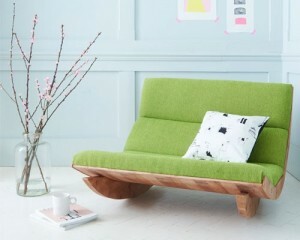 Design Masters is the Futon Company’s small-space, limited edition design range which offers designers a platform from which to sell products, delivering them directly from the designer’s workshop to the client’s home or office.